This Christmas, there are a lot of surprises waiting for you on Sapphire! 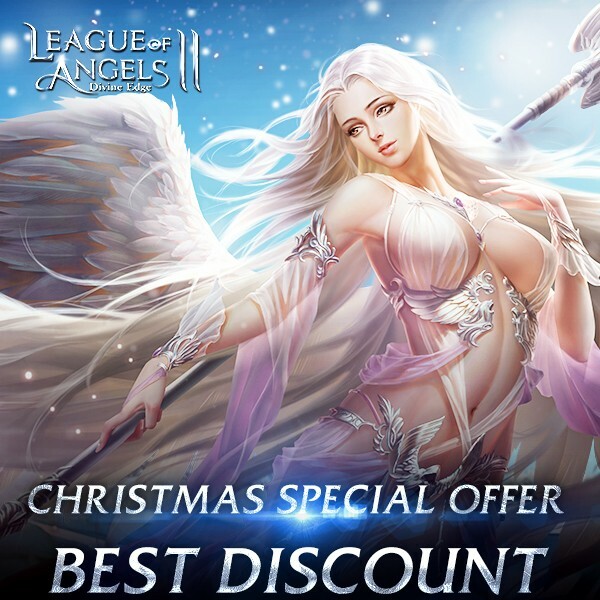 League of Angels II is bringing you amazing sales and Recharge benefits to end 2016! Are you ready for the most exciting part of this festival? Let’s take a look! To celebrate the most festive time of the year, we will have a special Christmas offer from Dec. 24 to Dec. 25. During these two days, for every Recharge, you’ll get 99% bonus Topaz immediately. For example, If you Recharge for 200 Topaz, you’llget 398 Topaz (200+200*99%)! This means you will get almost double the Topaz that you pay for! If you are planning to strengthen your squad or want to graball the new Christmas items during the holidays then you simply can’t miss this insane deal! Please note: Only Gtarcade players can get 99% Topaz bonus. With this special Recharge offer,you’ll get not only more Diamonds, but also more free rewards. The 99% Topaz bonus will also count towards in-game events! Many special Christmas events will be issued in game which means a lot of rewards and benefits can be gainedat half cost. What's more, the extra Topaz will also count towards VIP growth.Therefore the VIP level can upgrade faster than usual. From Dec. 24 to Dec. 25, the Christmas Party and Year End Summary are still going strong. It’s a once-a-year chance to get all things on your wish list fromthese two events. Nearly all Heroes, Mounts, Battle Pets, Suits, and items andresources are available in the Year End Summary. 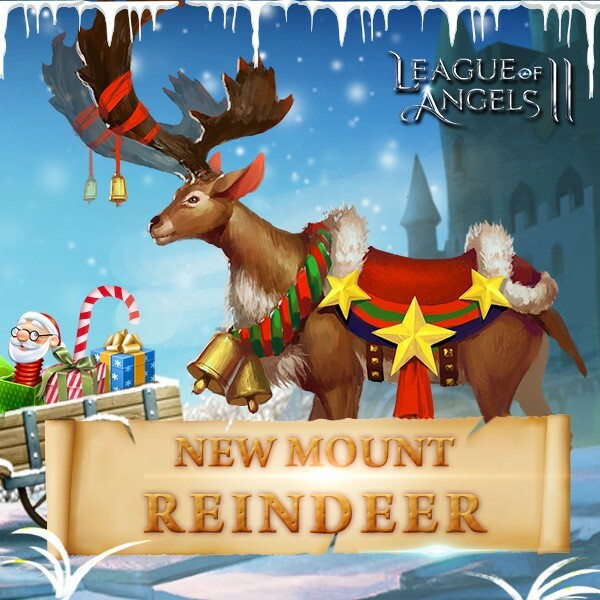 Let’s take a look at some of the new Christmas items available now! 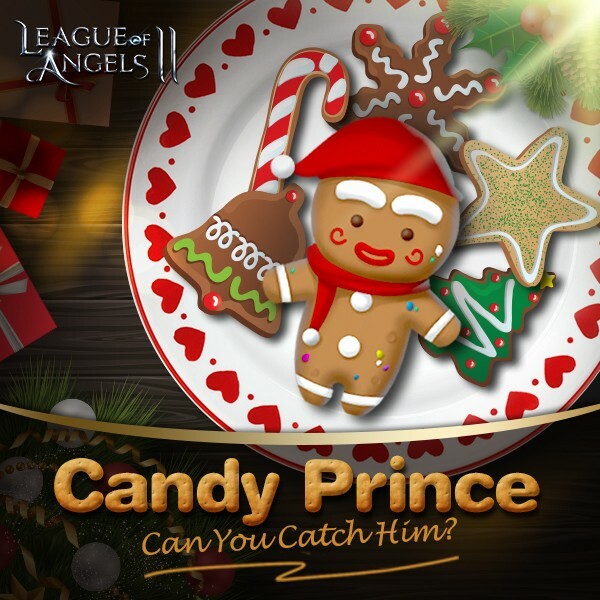 CandyPrince is a Mythic BattlePet with a deliciously adorable appearance, but don’t let his sweet coatingfool you; he is a mighty ally on the battlefield. The most unique part is thathe does not require Shards for Augmenting! Players will only need to spend Bloodstones, allowing for much quicker progression! This outfit just screams Christmas spirit with its classic red andwhite Santa design, as well as green and gold to really make it stand out. Merry Christmas is a Mythic Suitthat includes an Outfit and Wings. Collect 1 to activate 1 skill, and collect 2to activate both skills! As Santa’s personal envoy, the Christmas Reindeer is just glisteningwith holiday spirit. With shiny jingle bells adorned around its neck and afestively red saddle on its back, the Christmas Reindeer is ready to spreadholiday cheers to all. But it’s not just for show. Being the mystical mount ofjolly Saint Nick, its skills are formidable to say the least. Seize this chance to improve your squad and achieve even greater feats in the epic journey on Sapphire! 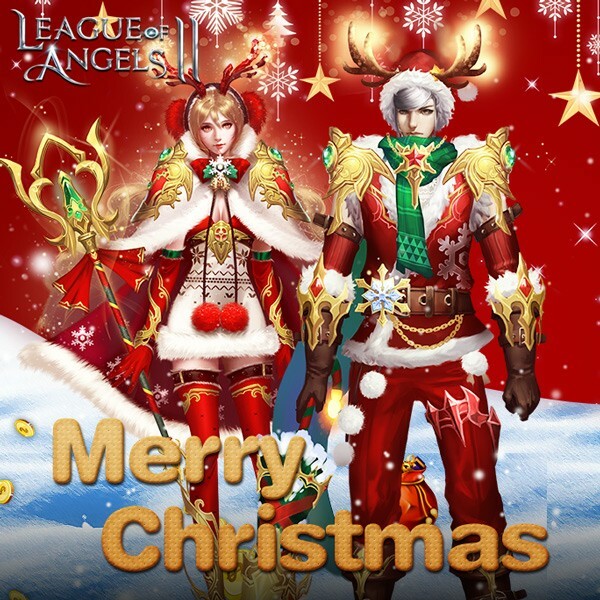 Merry Christmas and Happy Holidays to all andwe hope everyone will enjoy League of Angels II’s Christmas special events! Last：New Customizable Relics Hits Sapphire!